National Small Business Week runs from May 1 through May 8. More than half of Americans either own or work for a small business, and these entities create about two out of every three jobs in the United States each year, according to the U.S. Small Business Administration. Most of today’s small businesses couldn’t survive without a website. An effective site can significantly broaden your geographic reach and showcase what differentiates you. Here are some tips for improving the effectiveness of your small business website to maximize its full potential — without breaking the bank. When’s the last time your website had a facelift? It’s often the first impression that you give to new customers, and site designs have changed significantly over the last decade. If you don’t have the money to hire an outside designer, consider downloading an inexpensive, modern-looking website template. Just like a brick-and-mortar store, your website design should be clean, organized, inviting and safe. Start the process by visiting the websites of your competitors, especially large ones with substantial marketing budgets. You’ll notice that most updated sites are sleek and minimalist. They use lots of white space, limit text and supplement with professional-looking photos. The top sites also download quickly and render well on mobile devices. Additionally, it’s important for visitors to feel secure on a website. Many companies monitor customers’ online searches and then use the data to tailor ads to their real-time wants and needs. Some customers — such as people with medical conditions or addictions — may feel violated if you track their usage and later send them targeted ads based on their search histories. If you accept payment online, it’s imperative to take security measures to prevent hackers from stealing customers’ personal and financial data. An information technology professional can help evaluate your site for potential vulnerabilities and suggest ways to beef up cybersecurity. 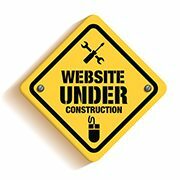 If you use seasonal material to refresh your site — such as a restaurant that offers an Easter menu, a manufacturer with a salute to veterans on Memorial Day or an accounting firm with a countdown to Tax Day — update it in a timely manner. Displaying expired coupons or biographies from people who’ve left the company are other examples of things to avoid. “Shop here.” Many companies use the Internet as a distribution channel. If your website serves primarily as a means of selling products, display images of the newest and most popular products directly on your home page and provide a search function that allows customers to enter product names or codes. Your site can provide supplementary pages that tell about the company’s owners or mission statement, but the home page should focus simply on e-commerce. “Research our products and services.” Other companies use their websites to help customers research products or services before they speak with sales representatives. For example, an auto dealer’s home page might provide a link to its new and used vehicle inventory listing to help customers know which makes, models and colors are currently available before visiting the physical showroom — or customers might want to research special finance offers or vehicle specs, such as fuel efficiency, horsepower or safety ratings. Likewise, professional service providers, such as medical practices or creative agencies, typically use their websites to demonstrate their abilities or expertise. Their home pages might offer samples of their work, white papers on technical issues or customer testimonials. In addition, many service providers encourage visitors to fill out lead sheets online. These are forwarded to someone in-house — such as a sales manager or marketing director — to follow up on later. “Sign up for our email list.” Most people who visit your website have a direct interest in whatever your business is selling. If you can convince them to sign up for your email list, you can push marketing ads, coupon offers and other relevant information to these customers in the future. You can easily insert a signup box on your home page. Or you can ask customers to sign up in exchange for a free shipping coupon or a white paper download. When evaluating website effectiveness, pretend to be a visitor in search of a specific piece of information. Examples include hours of operation, the price of a specific product, job openings or the owner’s biography. Then track how many “clicks” are required to find that information. As a general rule of thumb, try to keep the number of required clicks to three or fewer. Often, visitors are just looking for contact information, such as your location, email address or phone number. Make this information available in the header or footer of each page. This is where people expect to find it, rather than just on a separate “contact us” page. Remember, too, that your online presence extends beyond your website. While you’re pretending to be a customer, enter your company’s name in a search engine and review the results. You might, for example, find inaccurate information on a trade association website or an unfavorable review on Yelp that warrants your attention. Effective website design isn’t something you do once and forget about. Companies that stay on the cutting edge of website design trends, functionality and security are able to adapt quickly to market opportunities. Virtually all businesses have a “virtual” presence today. So, you’ll probably need more than just an effective website to stand out. Consider combining effective website design with other technology-based marketing tools, such as mobile apps, local coupon sites and social media. For example, an electronics manufacturer was able to speed up collections with a mobile payment app. Now salespeople can call delinquent customers and ask them to download the payment app to make an immediate payment — or risk delaying current orders. Many customers find the app to be more convenient than paper invoicing. In addition, the manufacturer offers early bird discounts to customers who continue to use the app for future bill payment. Another example of a tech-savvy marketing program is a start-up restaurant that’s currently offering a buy-one, get-one coupon on Groupon and LivingSocial. When diners redeem coupons, the restaurant asks them to fill out a feedback card, which includes their email addresses. In exchange for feedback, customers receive a free-dessert coupon. In addition, those who “follow” the restaurant on Facebook are entered into a drawing for a free lunch. These interactions have given the restaurant immediate feedback on what it’s doing right (and wrong). More important, however, the restaurant is compiling a list of local customers to use in email marketing campaigns or to receive its Facebook posts in the future. Social media can be an inexpensive way for small businesses to communicate with customers, as well as generate leads and website traffic. Facebook is especially popular among businesses that market to consumers. LinkedIn and Twitter generally are more appropriate for business-to-business companies. Let the social media habits of your target market guide your social media strategy. If you have a little extra room in your marketing budget, consider creating videos for your website or social media posts. Customers respond well to visual content, such as how-to videos and product demonstrations. Before you add another tech-based tool to your marketing mix, however, make sure your company is ready, willing and able to handle the additional business that targeted marketing and mobile apps might bring. If you don’t have excess capacity to handle the increased business, your efforts could backfire by disappointing new customers and damaging your relationships with old ones. Moreover, if you don’t respond to customer posts or add new content on a regular basis, customers may lose interest in your social media efforts.